Welcome to lively Dances, Brilliant bands & great callers. Karen Hanna & Kevin Downham. . Above Bournville Green. 11 & 27 bus stops. From 1.15, inclusive hot Drinks/biscs. lively Brummie contra : here - B30 1JT - spectacular quaker meeting HALL on linden rd : first building at top of bournville green. park in Sycamore rd. £2.50 off 1st visit. ASK AT THE DOOR ! This impressive Quaker Hall in Bournville - B30 1JT On gMap HERE. Walk up path across Bournville Green to Hall. It's the first building (see above) on main Linden Road. This splendid Quaker Hall : B 30 1 JT - With its vast decorated Xmas Tree outside. On 11A &11C bus routes. just 3 stops from Bournville Rail Station [exit station into Bournville Lane]. Relax to enjoy an inclusive hot drink from Jackie & Jim from 1.40pm. The Bournville Quaker Meeting Hall. Due to George Cadbury, it's an imposing 1905 hall with a splendid hammer-beam roof, resembling impressive constructions of the 1200-1500's. With appreciation of the organisers & dancers, we use this hall with kind permission of Bournville Quaker Meeting. - It's more fun if more come ! - Let's try this to encourage you ! - ​ New to Contras here at B30 1JT ( and at Elmdon Heath ) ? - ASK for £2.50 off at the door. - You may EACH claim a discount of £2,50 at the door. Here's another gem picture from Mandy. It features some very skilful younger dancers .... C. 29 Nov'15 Brummie Contra - title pictures too. Dancing to dynamic Double Dichotomy. Please regularly bring & refill a small plastic bottle. A few of us - still delighting to participate in this lively dance style - do manage the moves with more limitations: despite injury or age. Inclusive tea/coffee/squash/biscuits await all travellers from 15 to 30min before most dances start. Selection is also available in a similarly sociable 20min interval. - without always being pulled-in to dance ! to enable dances at the more costly Hall there. We've NO raffle here, to respect principles of the Quakers, who have the wisdom to avoid all gambling. Also please respect our hire under principles of the Quakers, by bringing-in NO alcoholic drink. Thank you. Visit Brummie C's. Enjoy the regular dancers' company. Contras aren't hard to pick-up. - It just needs YOU to COME TO THEM ! And to enjoy them regularly ! - Dance - on ﻿the door ﻿- ﻿£10.50﻿ ﻿ - Student £6.50 - with generous refreshments included. The Brummie Contras need you keen dancers to share them regularly - So please come AND bring your friends ! 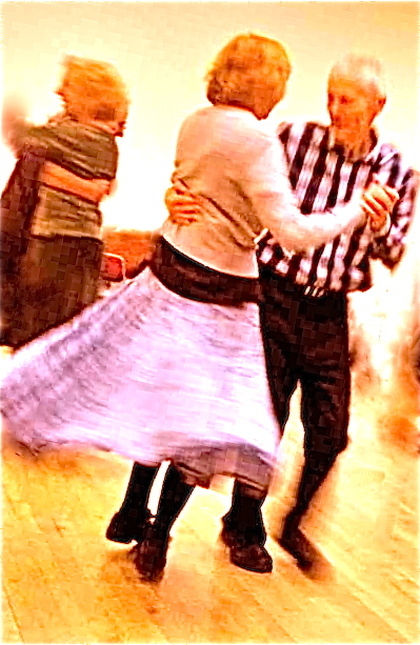 FROM 2.00pm - 3 HOURS of FUN & LIVELY DANCI﻿﻿NG, with more inclusive refreshments. Should you prefer to take life more gently - relax at the side to enjoy lively music instead. For MORE Brummie Contras see Home & Dates ! - These lovely, lively Contras deserve to be enjoyed by more than a regular, loyal few! 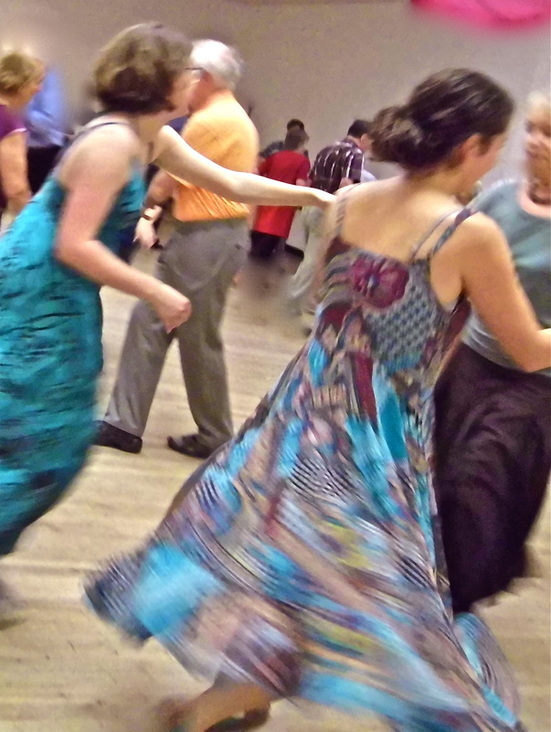 There are helpful ideas about how to be best placed for a Contra Dance partner - and ladies - you may always ask ! How do you best indicate - so that when you take a dance "out", it doesn't also stop another who is wishing to dance. Brilliant rules / tips for dancers - Real insights. What is revealed here allows many women to better appreciate a dance from a man's viewpoint. From Steve Harris. To every one of the Superb Contra Band Players and Brilliant Callers we've had at "Brummie Contras". Genuine generosity on their parts - almost without exception - has enabled - 4 and a half years of lively Brummie Contras. There is a disincentive which a high door price brings. But £11.50 is now requested at the door (for trio or 4 some bands, or when a caller is from USA). Our monetary responses need genuinely to reflect how bands/callers put themselves out for us ! Up to our Good Friday 4th Anniversary celebration there, dances at the Friends Meeting House in Bournville had been helpfully arranged by Barry. We also miss Barry's help at the door, & perceptive critique. There's a tribute page above. 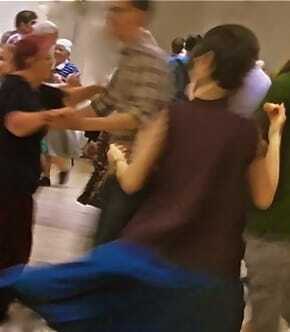 - The Brummie C's need YOU to be keen dancers: Regularly share the lively dances: Please come AND bring your friends ! Callers - like the bands - some new, some established - all offer us brilliant dances. Many still are very keen on this dancing, but are wishing they were younger ! Or the rare occasion of someone enjoying the company and music but wishing to dance at their own more gentle pace. Why are most Brummie Contras on Sun afternoons ? Easier journey: Time for sociable tea/coffee breaks: Fewer activity clashes. 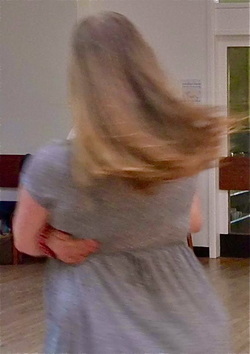 Go to TOP of Quaker Hall - HOME - Page - Go to page with DANCE DATES !